Good morning beauties, today´s outfit is simple but attractive. I bought this shirt in a shop at Thailand during my honeymoon, I love its print full of cubes. The rest of the clothes has neutral colours in order to make the shirt the main focus. Today´s post, comes with a surprise, because you are the best readers in the world and I would like to thank you. 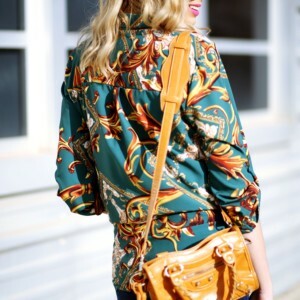 That is why we are going to make another giveaway in wich you can win an awesome leather blue bag by Bimba y Lola. What do you have to do if you want it? It is quite simple, you only have to be a fan of the blog in our Facebook fanpage here, share any of the publications of the giveaway in your Facebook page and fill in the easy form that you will find at the end of the post. If you want extra chances, then you can also follow me on GFC, Twitter or Instagram. Don´t forget to read the giveaway basis. Have a nice day and get lucky! El Sorteo finalizará el domingo 28 de septiembre a las 20:00 Horas, El ganador/a será publicado el lunes 29 en el blog. Si pasado 3 días no se ha puesto en contacto, se volvería a realizar el sorteo entre las participantes. Para envíos fuera de España, los gastos de envío corren a cargo del ganador. *Seguir al blog en Facebook. *Compartir cualquier cartel del sorteo. 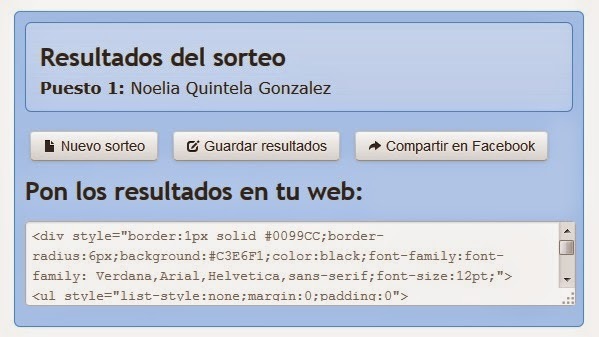 *Completar el formulario del sorteo correctamente. Giveaway Basis: The giveaway will finish on sunday 28 of September at 20:00h. The winner will be published on monday 29 at the blog. If the winner does not contact us after 3 days of the result, we would make the giveaway again, between the participants. For shipping out of Spain, costs are on the winner. Follow the blog on Facebook. Share any of the giveaway publications. Fill in the giveaway form properly. To get extra chances: +1: Follow the blog on GFC. +1: Follow the blog on Twitter. +1: Follow the blog on Instagram. Camisa/Shirt: Comprada en Tailandia/Shop tailandia | Jeans: Zara | Collar/Necklace: Lefties | Anillo/Ring: Bimba y Lola | Reloj/Watch: Tous | Zapatos/Shoes: Tienda Local/ Local Store | Bolso/Bag: En Sorteo.